Thanks for stopping by and for all your wonderful comments. I truly do appreciate all of you! 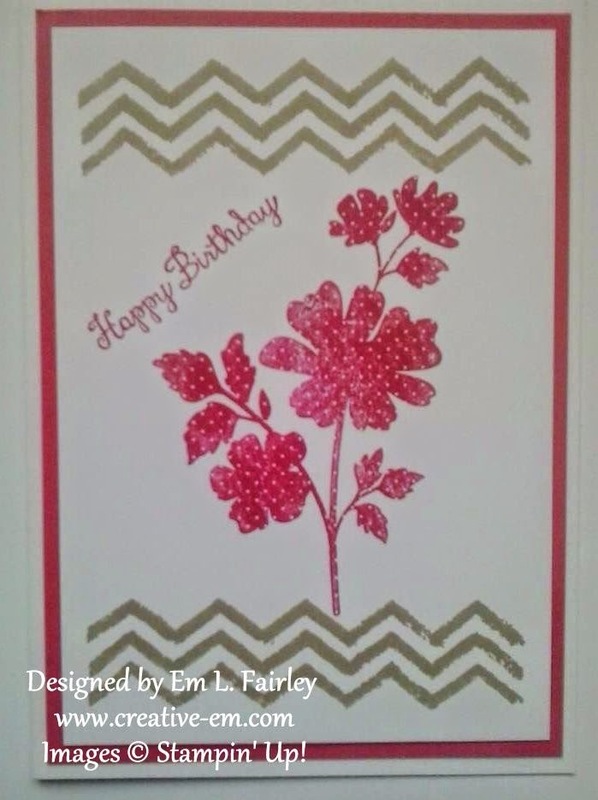 The main image is from Gifts of Kindness, the sentiment from the hostess set Bloom with Hope, and the chevrons are from the Work of Art set. I've layered the Whisper White panel onto Strawberry Slush card then onto a folded card blank. I'm really pleased with the result and hope you like it too! Hi, Em! I see you are keeping your CAS streak going! This is very nicely done! Thanks for dropping this off by our house here at 613 Avenue Create. So pretty. Lovely CAS design. Thank you for joining us over at the Scribble and Scrap Challenge. Good luck. Popping by to say thank you for joining us at Scribble & Scrap!